Fashions in prison uniforms at the Hobart Gaol 1870’s varied according to the class of criminal, his trade or job, and the season. 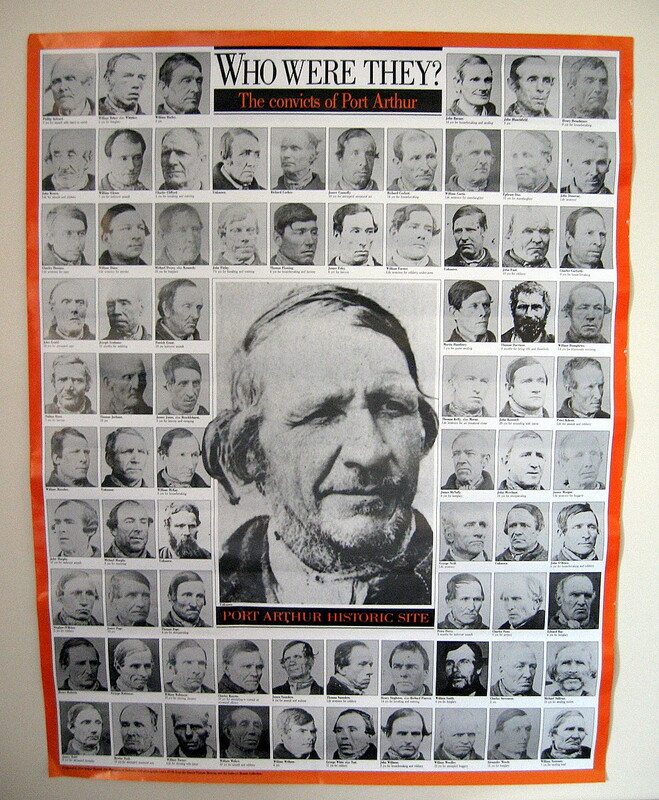 A visitor to the gaol in July 1882 noted the grey jacket and leather caps of the old hands, and the yellow and black uniforms of the recaptured absconders. 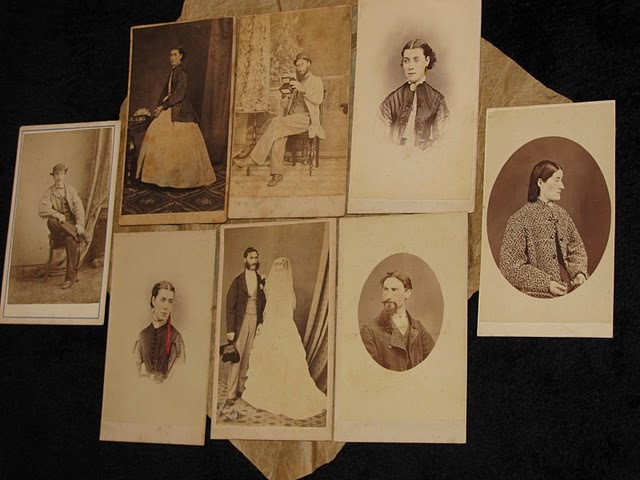 The men in these two photographs were wearing different uniforms when photographed, but they had both been sentenced at the Supreme Court in Hobart in the 1860s assigned to work and photographed prior to discharge. Neither had a record of absconding before being discharged in 1874 and 1875. Notes: Neckerchiefs were produced by female prisoners at the Cascades Female Factory. One example was sent to the International Exhibition in Paris in 1855. 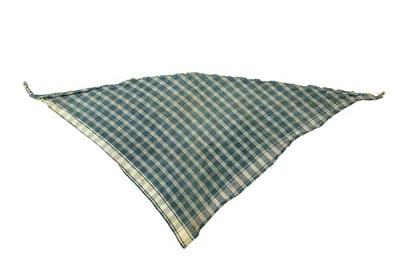 This neckerchief is similar to those worn by prisoners at Port Arthur in the 1870s. 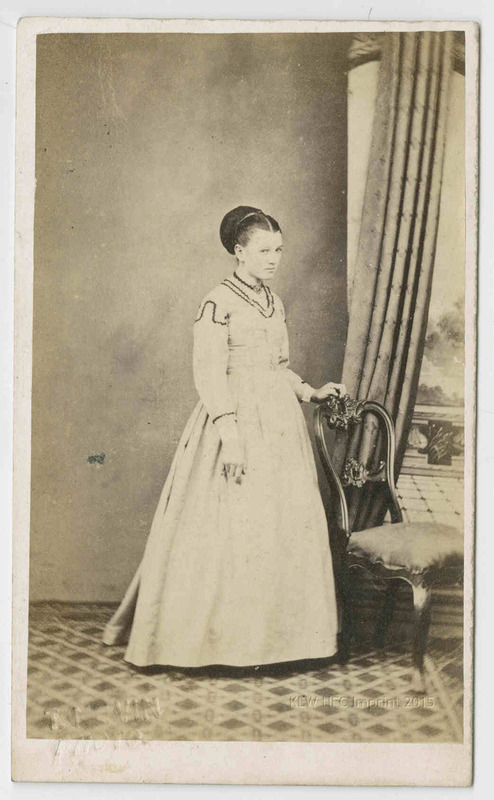 The Queen Victoria Museum and Art Gallery has a collection of carte de visites taken of prisoners wearing such clothing. 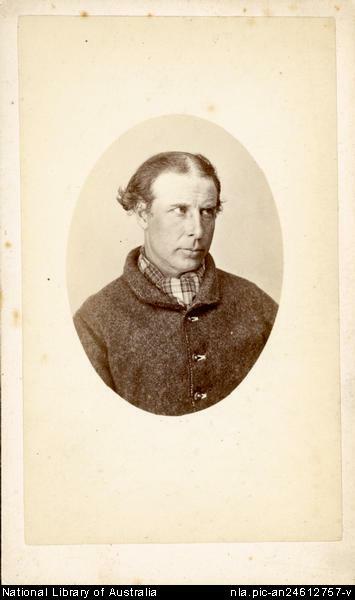 John F. Morris was photographed by Thomas Nevin at the Hobart Gaol on 25th April, 1875 on the occasion of the prisoner’s discharge as “FS” – free in servitude. His crime was murder, his sentence was “life” but his residue sentence was remitted. 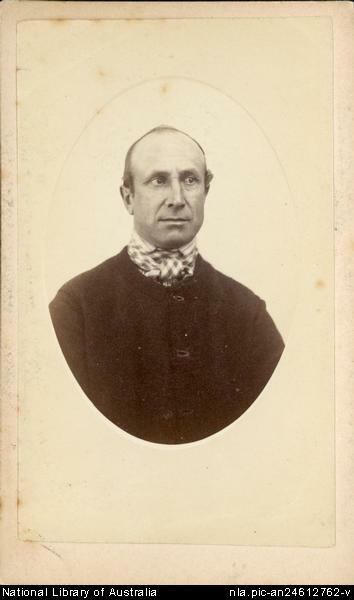 John F. Morris was discharged from the Hobart Gaol, 28th April, 1875. 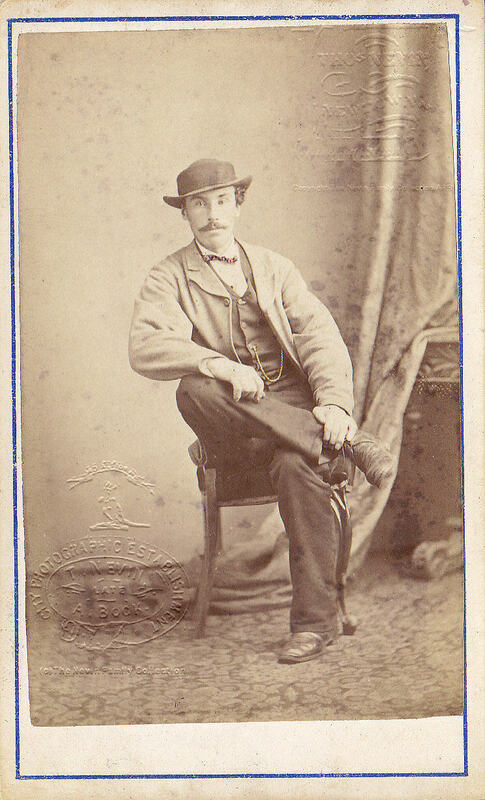 His name appears only once – on discharge – in the police gazettes between 1871-1875. 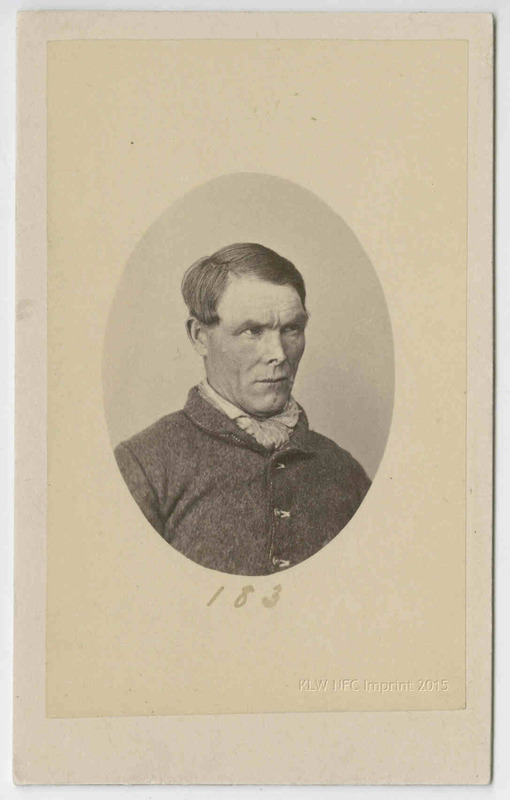 Samuel Evans was photographed on discharge – as “Free” – from the Hobart Gaol, 9th December, 1874, by Thomas Nevin. His crime was sheep stealing. Source: Tasmania Reports of Crime Information for Police 1871-1875. Gov’t Printer. 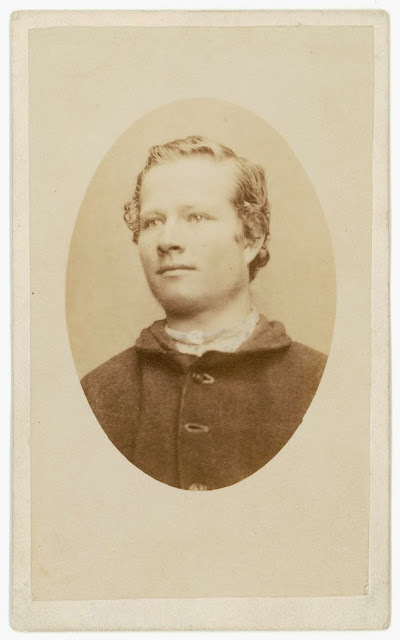 These two cartes of well-groomed convicts, John Morris and Samuel Evans are numbered on verso, and according to the National Library of Australia, the verso is inscribed with “Taken at Port Arthur, 1874“. This was not the case: these prisoners were photographed at the Hobart Gaol in December 1874 (Evans) and April 1875 (Morris), the dates of their discharge when police regulations required an ID photograph. 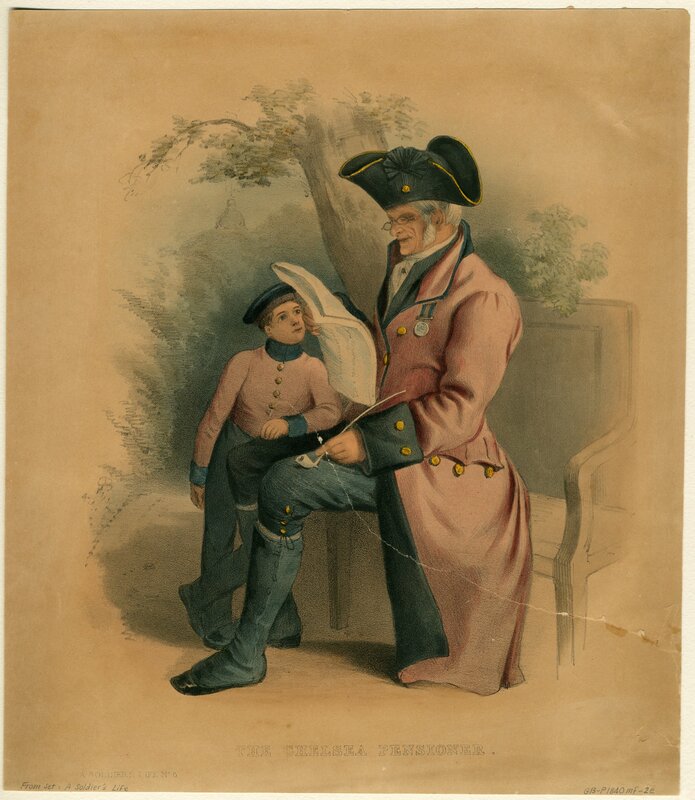 The carte of Samuel Evans was one of twleve archival estrays donated to the National Library of Australia by Dr Neil Gunson in the 1960s (SPROD MS, NLA). The verso inscription with the date “1874” and the numbers ranging from 1-322 which appear uniformly across many – but not all – of these extant Tasmanian prisoner cartes are probably the handwriting of an archivist or copyist working decades later in J.W. 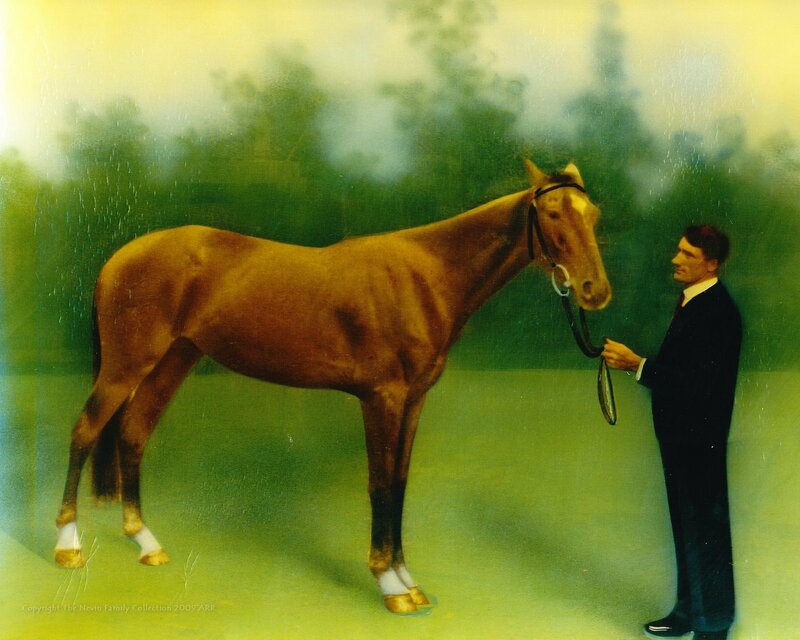 Beattie’s convictaria museum in Hobart (1900-1927) when Beattie displayed and reprinted Nevin’s prisoner photographs for sale as tourist memorabilia and for travelling exhibitions, eg. Royal Hotel, Sydney, 1915 in conjunction with the floating museum and fake convict ship Success. Neither Morris nor Evans looks cowered, intimidated, or fearful, and why should they on the occasion of their discharge from prison? They look at ease in the presence of the photographer. Both appear healthy, self-possessed, and clean. Both men had shaved, buttoned their jackets, and folded their neckerchiefs neatly into the top of the jacket like a gentleman’s cravat. Although these men appear to be wearing their own standard issue prison uniforms, they may have been supplied with passably clean clothing for the occasion. They needed to be identifiable as prisoners from their clothing. Morris was photographed in spring and posed wearing the light jacket and neckerchief; Evans was photographed in summer but wore the standard issue woollen jacket and neckerchief. Released as “Free”, he was a ‘native” or local prisoner with a short-term sentence whose eyes were firmly fixed on the future and freedom.